In the left pane of Thunderbird, highlight your email address. Select View settings for this account. 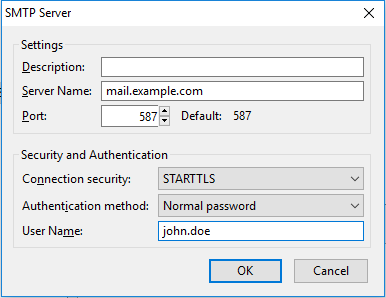 In the left panel, select Outgoing Server (SMTP). Highlight your email address and select Edit.